Kolkata, Mar 30: The BJP could come up with its best ever showing by winning 8 Lok Sabha seats in West Bengal but that will not be enough to stop the Trinamool Congress from finishing with 31 seats, three less than last time, according to an opinion poll. The latest Opinion Poll has concluded that the Left Front, which ruled the state for a record 34 years from 1977 to 2011, may draw a blank while the Congress could keep itself afloat with three seats. The Left Front led by the CPI-M bagged two seats last time and the Congress four. The BJP, which won two seats in 2014, could do well in north Bengal as also in the southern district of North 24 Parganas, says the opinion poll, which predicts the BJP's vote share to jump from 17.06 per cent from 2014 to 26 per cent now. 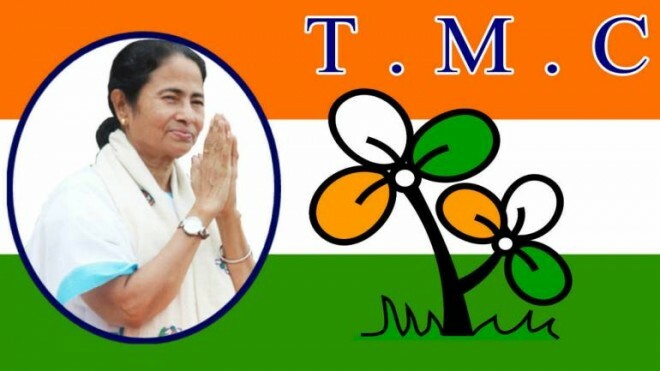 The Trinamool was likely to make a clean sweep of the region in and around Kolkata by claiming all the seven seats - Kolkata North, Kolkata South, Jadavpur, Howrah, Dum Dum, Diamond Harobur and Uluberia. It could also sweep the former Maoist affected western districts.